In the tomb of the poets. 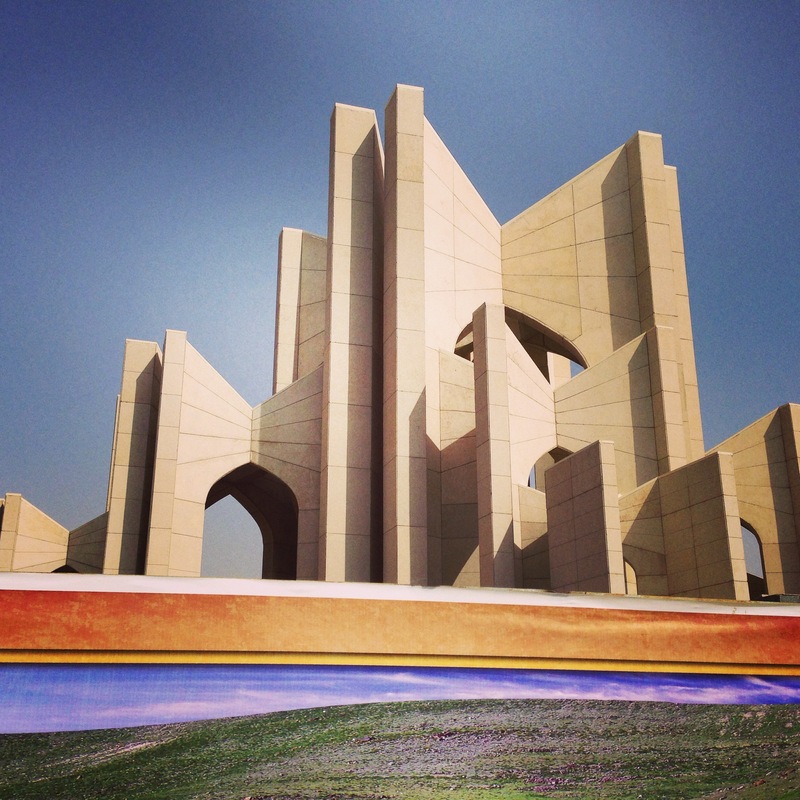 Photo: Mausoleum of Poets in Tabriz, Iran. Mohamad gets a text from Hafez every day. Or rather, he’s subscribed to a service that sends him a verse every day by SMS. He got his daily bread once when we were high up in the stone-carved village of Kandovan, on a ledge overlooking the valley and the walnut terraces and the fog on the mountains beyond, and he read it to me. He’s a wonderful reader. Our third day in Tabriz, we went to the Mausoleum of Poets. Four hundred great Persian scholars are buried or otherwise commemorated there (many of the tombs were lost in earthquakes). It’s a palatial marble room shaped like a star, each spoke a separate wing, with portraits of poets and samples of their verses, and a voice reciting overhead. I asked Mohamad to leave me alone a little so I could pray. I do this a lot when I travel—if I’m in a holy place, either in the spiritual or creative sense, a cave or church or shrine or temple or ruins thereof, I spend some time talking to the presences that are there, and asking them for their help in my work. So I found a corner and knelt and closed my eyes and the first thing that came out was, as I knew it would be, fury. Only then could we proceed. Follow my travels in Iran on Instagram. Wow! That was a rage! A ROAR! You go girl! I am already jealous of your style, and would like to extend my praise and admiration, madam. Respect!